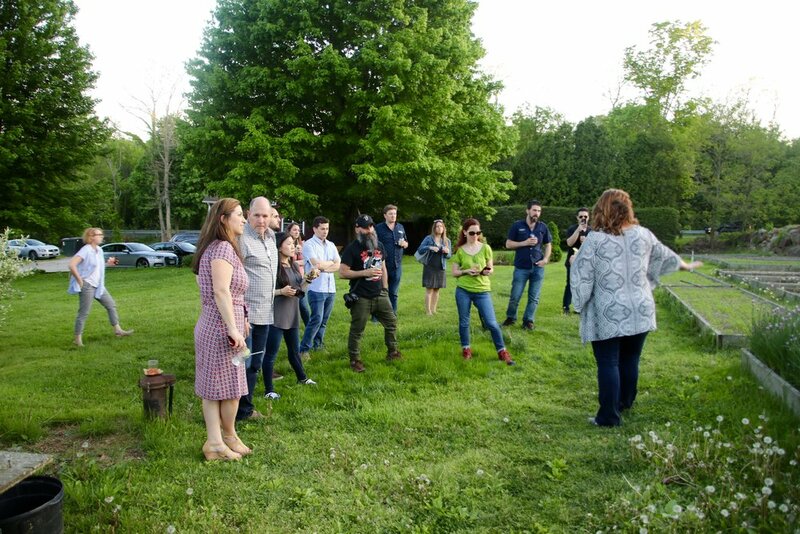 I was recently invited to an intimate event at Sport Hill Farm in Easton created to bring together members of the food community - writers, photographers, bloggers, influencers, chefs and restauranteurs. It was an evening of celebration, information, great bites, drinks, conversation, and laughter. Patti Popp, owner of Sport Hill Farm is a self-taught farmer who is passionate about her vocation, and eager to share the importance of eating sustainably with others. 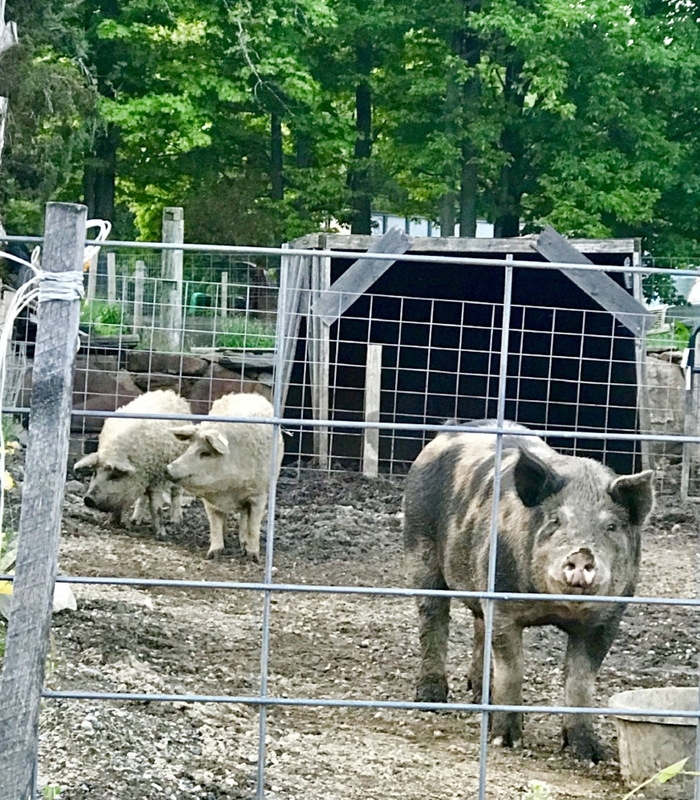 Once a small neighborhood farm with just one acre, Sport Hill Farm now occupies over 30 acres throughout Easton and supplies numerous restaurants in Fairfield County including: The Whelk, Artisan Restaurant, Match, Nom-Eez, L'Escale, Kawa Ni, Jessup Hall and The Redding Roadhouse. Patti is a regular at both the Westport and Black Rock Farmers Market. At the shop on her farm, in addition to her produce and eggs, one can find bread from The Fairfield Bread Company, assorted dairy products from Arethusa Farms in Litchfield, CT, Dave's Honey and a slew of other local items including popcorn and jarred marinara sauces from the farm. Sport Hill Farm regularly hosts events, field trips and, every summer, a highly sought after summer farm camp. Patti welcomes everyone, especially children, stating the importance of understanding where their food comes from. She's passionate about educating people about the significance of buying directly from the source, as opposed to the grocery store. During the summertime, and well into the fall the farm is truly spectacular, bursting with the most vibrant colors from wide variety of produce. I recently came across this article I wrote way back in 2010 when sustainable, local and organic weren't yet a part of our vernacular! What a long way the farm has come! 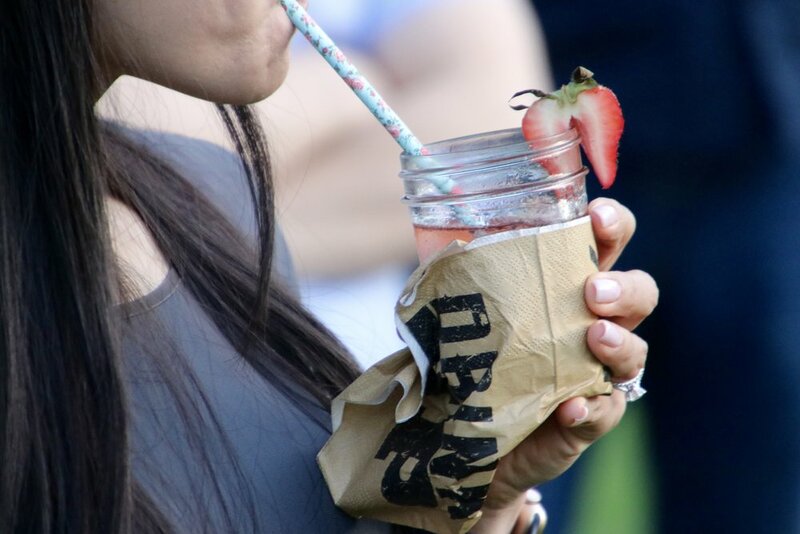 Guests enjoyed freshly made cocktails from local companies. Local caterer, Genee Habansky's Herbaceous Catering catered the event and created the most exquisite cocktails using Danbury's Cross Culture Kombucha and Bridgeport's Asylum Distillery. In the front was my amazing Ginger Kombucha Mule made from Cross Culture Ginger Kombucha, Asylum's Vodka, honey and lime. Candied Bacon from the Sport Hill Farm Pigs (I know, I know - I try not to think of that) is an absolute treat. Guests gather around on a gorgeous Spring evening. 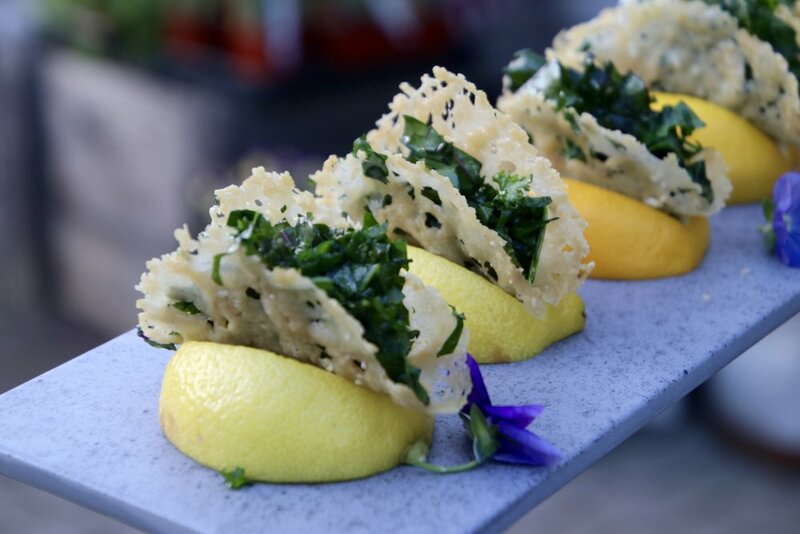 For the vegetarian, freshly picked arugula is nestled into mini Parmesan crisp taco shells. The lemon wedges serve as the perfect stands. 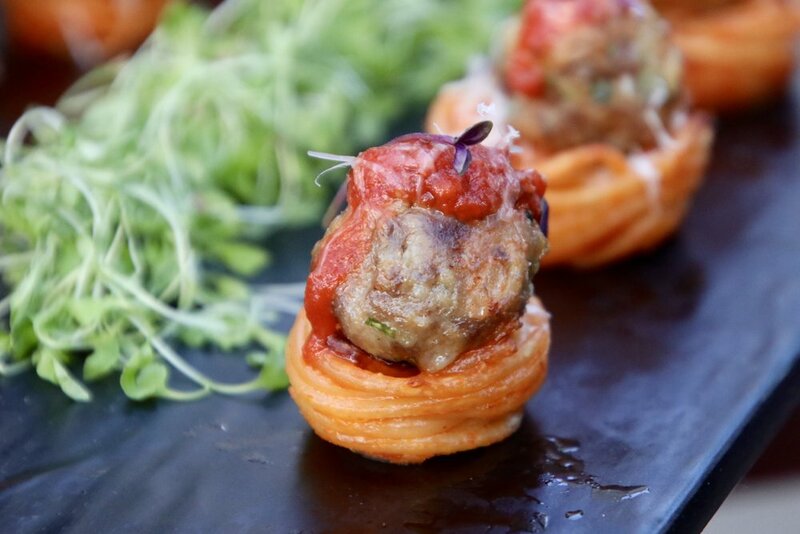 Sport Hill Pork make the most divine meatballs a top a spaghetti nest. 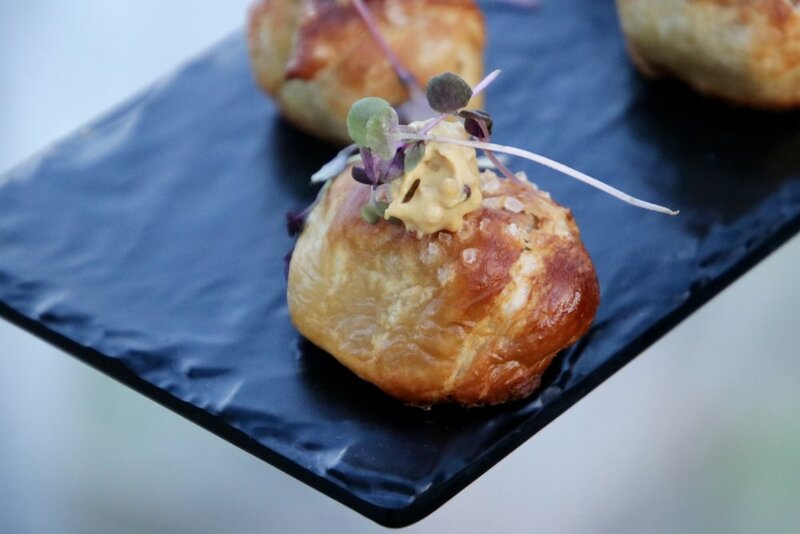 Pretzel Pigs topped with a touch of mustard and micro greens will have you rethink your ordinary pigs in a blanket. These honey butter cornbread squares were positively melt-in-your-mouth to die for. Butter really does make it better! See below for Recipe. Patti Popp talks to press, chefs and local influencers. The carrots are starting to sprout beautifully, and this year, at the request of her patrons, Patti will be offering turnips, which are also starting to sprout. Patti's "girls" - as she affectionately calls them lay the best eggs. If you've never had a farm-fresh egg you don't know what you're missing! Oh, hello there! I always thought pigs were pink! The two in the back, with their coats of white thick and curly resemble sheep more than they do pigs. Genee Habansky, owner of Herbaceous Catering Company was kind enough to share this recipe with me, to share with you. This cornbread is so decadently melt-in-your-mouth delicious that you will want to make it over and over and over again. While it is baking, take the remaining butter & honey and melt together in a small sauce pan over medium heat until they are melted together. Brush the finished cornbread with honey butter & sprinkle with sea salt! The ingredients matter! Genee uses cornmeal from Old Saybrook, milk, butter & honey from all from Connecticut. *All images are the property of Gimlet Marketing and may only be used upon request.